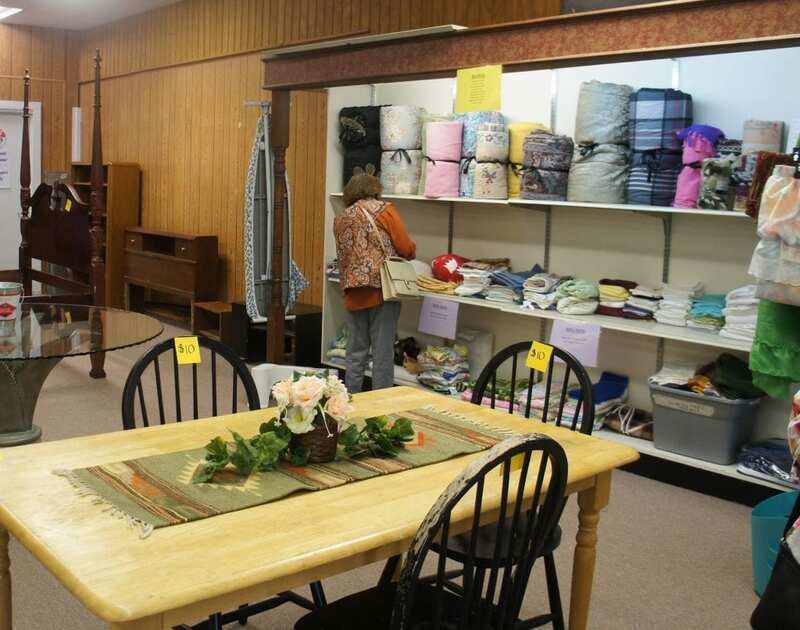 On Thursday, March 22, the Begin Again Atascosa Family Crisis Center Thrift Store held its grand opening. Shoppers waited outside, eagerly anticipating the doors opening at 10 a.m. The store is located at 201 N. Main St. in downtown Pleasanton. It was formerly Cowboy Fellowship and many will also remember it as Ricks Co.
AFCC advocate Imelda Gomez and AFCC Executive Director Lisa Krejci. The AFCC staff greeted the crowd, as they found bargains among the many items. 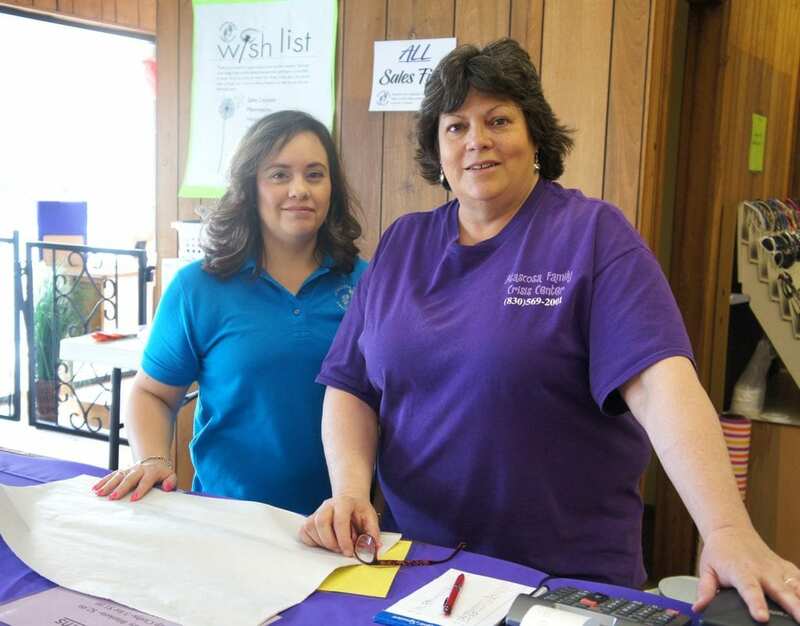 “We have been fundraising and trying to open a domestic violence shelter here in Atascosa County for the last several years. We are finally at the point where some construction is about to begin. 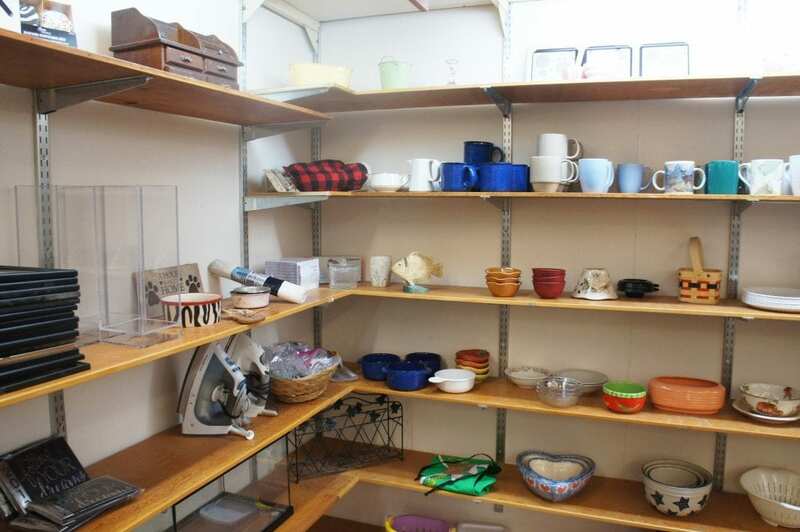 Our community has been very generous and have donated things that our clients have used for support,” said Rhonda Williamson, AFCC Assistant Director. 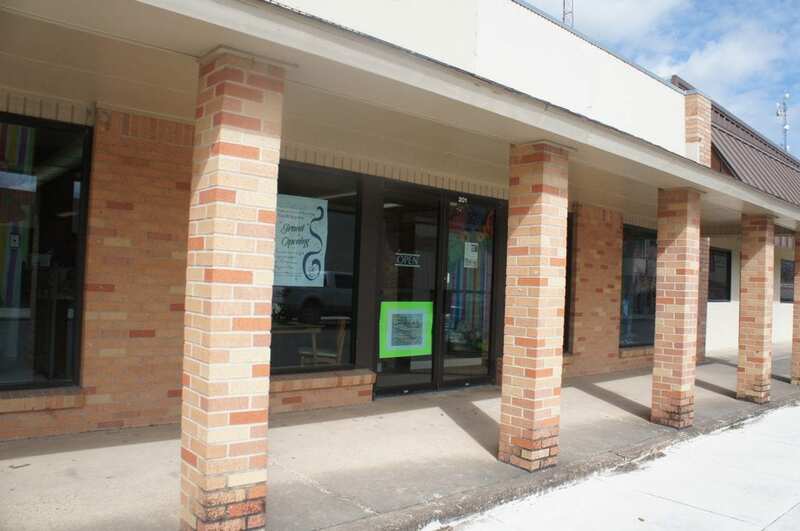 The opportunity came up to lease the space, which she described as a great way for them to keep things really fresh and stock rotated in a really nice environment for their clients to come in and get what they need. It also helps out the community with some really great things at a low cost. 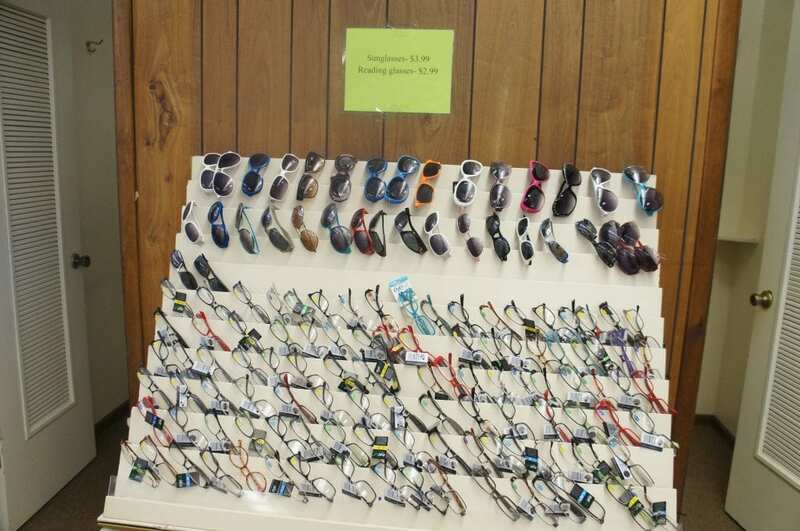 “It keeps some business happening on Main Street and provides us with some revenue at the same time,” she added. 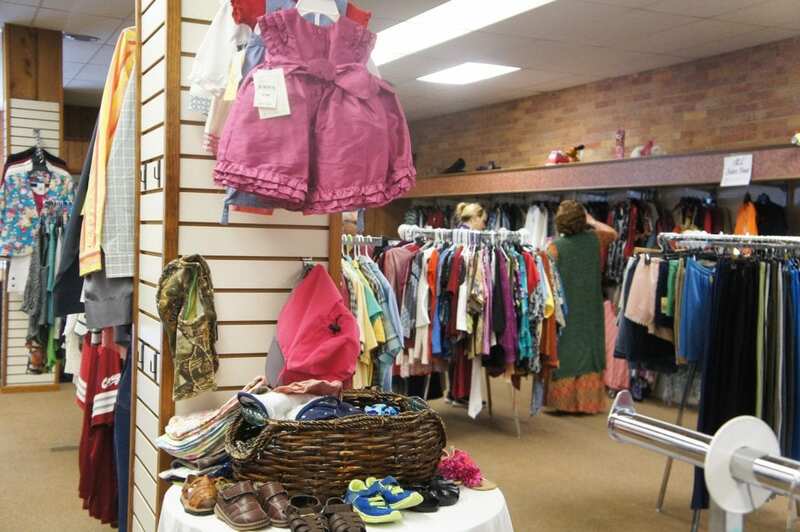 Currently, the thrift store is open Thursday and Friday from 10 a.m. to 6 p.m. and Saturday from 10 a.m. to 2 p.m. They accept cash and credit cards as payment. 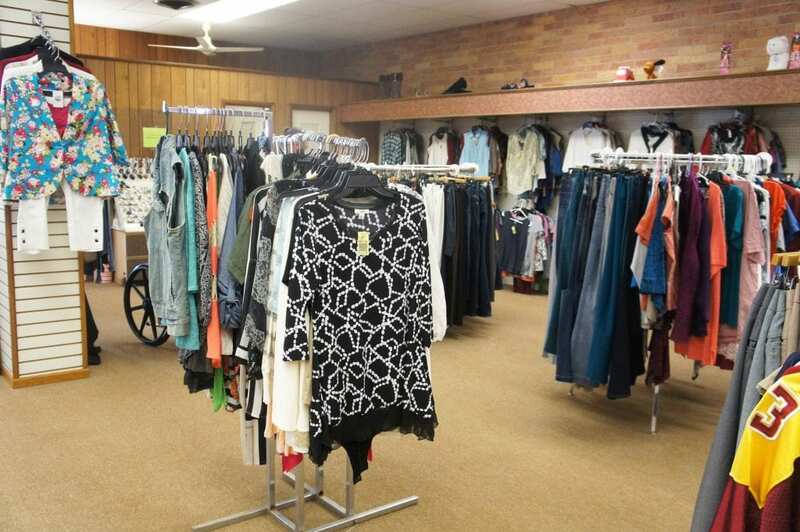 The store carries all types of clothing, for adults to children in many sizes, men and women. 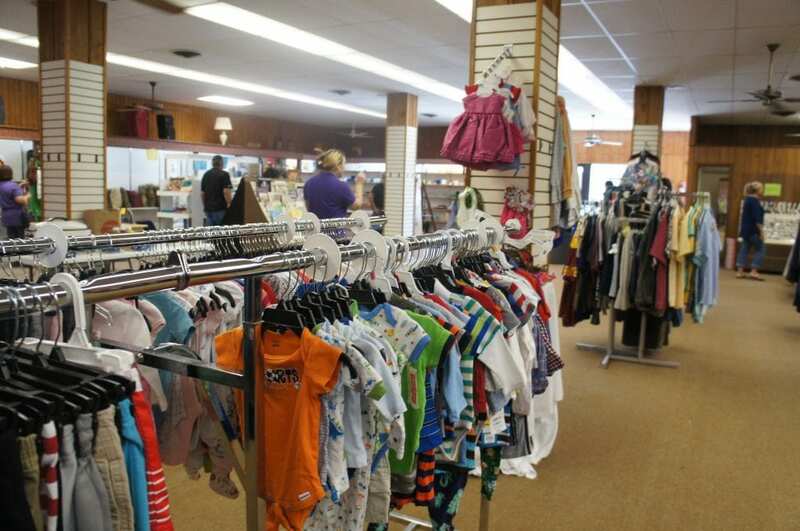 They carry shoes, many baby items, household decor, furniture, tableware, books and more. 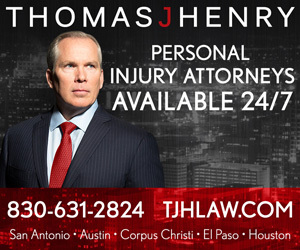 “If anybody is looking to donate, we are looking for some furniture to sell. We are looking for some bigger items, if somebody is looking to do some spring cleaning in the next few weeks,” Williamson said. Donations will be accepted Tuesdays and Thursdays, there at the thrift store. They will then sort the items. For those wishing to donate clothing, it is helpful if they are on a hanger. The AFCC staff does ask that whatever you donate the clothing in, you are ready to leave it in. This just makes the process go faster. Williamson said they have a wish list if any local businesses have items in storage they are looking to get rid of, such as a sales counter and some mannequins. Deductions are tax-deductible. The day culminated with an art show featuring the works of award-winning artist Lee Ricks Jr.
Williamson has volunteered with AFCC for two-three years and has been employed with them for six months. She has worked in domestic violence for 18 years. Williamson worked in Corpus Christi, where she ran the Women’s Center for Education and Service at A&M Corpus Christi. She then worked at the Women’s Shelter of South Texas, also in Corpus Christi. In San Antonio, she ran Girls Inc. She has lived in the area for the last four years, helping out with grant writing and being involved with Atascosa Citizens in Action. Hello. Does your store accept donations? If so, what is the process? I have a sectional living room set (with a pull out sleeper) I’d like to donate.